Do you want to copy some text without text formatting with quick keyboard shortcut key? You can easily do this in Google Chrome browser using ‘Copy without formatting’ extension. It allows you to copy text from any website without text formatting for font type, size, color and so on. While browsing use quick keyboard hotkey to copy text without formatting and paste it directly in a document, email or file to save for future use. 1. Open Google Chome browser. 2. 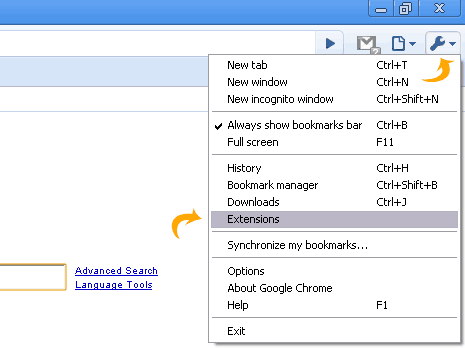 Install Copy without Formatting extension on Chrome. 3. Go to Wrench icon on your Chrome browser and go to extensions. Then click on option of Copy without formatting extension. 4. Select the suitable keyboard shortcut for copying text without formatting. 5. You can also enable floating button for coping the text or images in Chrome. 6. When done with the editing click on Save. Now when you highlight text on any site opened in Chrome a floating button will appear by click using which you can copy text without formatting. You can also use the keyboard shortcut for the same. Similar funtionality of copying text without formatting in Firefox browser can also be added.